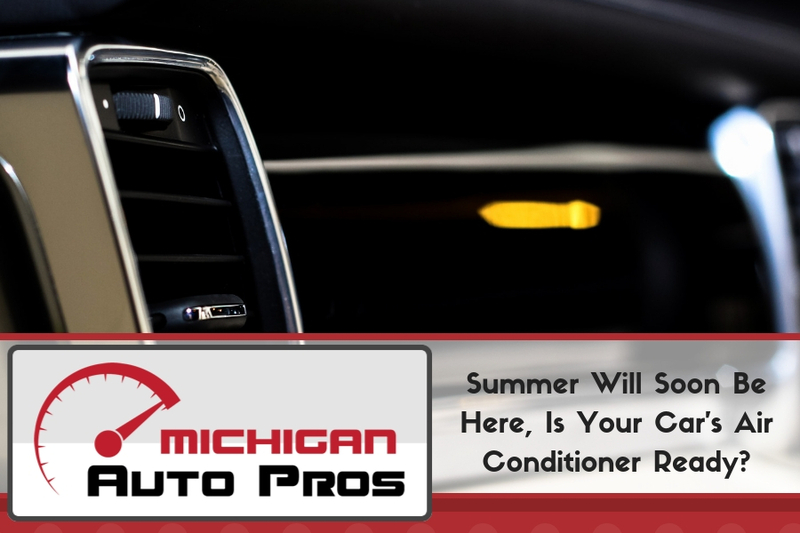 Summer Will Soon Be Here, Is Your Car's Air Conditioner Ready? It’s the first hot day of the season, so you crank the A/C – but nothing happens. Maybe giving it a few minutes to get up to speed is all that’s needed, you think. But a couple miles into your drive, and you still can’t tell if the air is any cooler. As sweat forms on the small of your back, it becomes clear that your air conditioner has failed. Truth is, today’s automotive air conditioners are robust and can go a long time without maintenance. But with the warmer months on the horizon, there has never been a better time to make sure your car’s A/C is ready to keep you cool through the dog days of summer. Let’s briefly discuss how your air conditioning system works, and what you can do to if it doesn’t. The three essential components of your car’s AC (or really any AC, for that matter) include the condenser, the evaporator, and the compressor. These components work in unison to continuously convert a refrigerant from a solid to a vapor and back again. Oftentimes refrigerant is referred to as Freon, which in fact is only accurate if your car was made prior to 1995. Current mobile air conditioning units use what’s called 134a, due to the environmental hazards associated with the former. As hot air moves across the evaporator, the refrigerant is in a cold liquid state as it absorbs the heat, before turning into a vapor as it passes through the compressor. This hot vaporized gas passes over a condenser, which condenses it back to a liquid state while dissipating the heat to the atmosphere. The chilled refrigerant can now return to the inside of your vehicle’s cabin, where a fan blowing across a coil containing the cold liquid introduces conditioned air to you and your passengers. Air conditioning systems vary in complexity, but the basic operating principles remain the same no matter the type. Air conditioners also have a dehumidifying effect. Because humidity has a major role in how our bodies react to ambient temperatures, dehumidifying the air as a secondary but equally important role of the air conditioner. Humidity is extracted from the air as it moves across the evaporator coil and expelled as water; this is why you see water pooling beneath an idling car when the A/C is running. Vehicle air conditioners also have the added bonus of defogging your windows. Because the A/C removes moisture from the air, it can eliminate fogged windows in a matter of seconds. In fact, when you press the “defog” button on your dash, your A/C is engaged even if you do not feel cold air blowing into the cabin. The most common issue is probably a refrigerant leak. Over time, rubber hoses and seals become brittle and allow high pressure refrigerant to escape. Without refrigerant, your A/C will not function. Furthermore, refrigerant can degrade with age, reducing its effectiveness. Fortunately, these are inexpensive and easy repairs. A simple A/C recharge may be all that is needed to return your air conditioner to its former glory. Another less common but nonetheless routine service point is the compressor. On home A/C units, the compressor is powered by its own motor. However, the compressors used in vehicles are powered by the engine. This is why drivers may experience a dip in power when driving with the A/C turned on; especially on smaller cars with less horsepower. The compressor is engaged and disengaged by a thermostat which controls the A/C clutch. The A/C clutch, when engaged, transfers energy from the compressor to the A/C system where it can compress the refrigerant and produce cold air. When the car’s interior has reached the desired temperature, the clutch disengages and bypasses the compressor until the temperature rises above a certain point, where it again engages and cools the air. Vehicle AC compressors are generally replaced, not repaired. Many compressor units also include the A/C clutch, so if the clutch is faulty, the entire compressor must be replaced. Compressor replacements can be costly due to the labor involved and can easily approach $1000 or more depending on vehicle make and model. While A/C compressors are somewhat notorious due to their cost, sometimes the problem is far more benign. As hoses age, they degrade. Even if there are no apparent leaks, the degradation on the interior of the hose can introduce impurities to the refrigerant which results in clogs downstream. A clogged orifice will result in reduced performance. Fortunately, checking for leaks and worn components is a routine point of service that nearly all automotive technicians can do with ease and accuracy. They’re gearing up for summer at Good Care Auto, and air conditioners are their specialty. 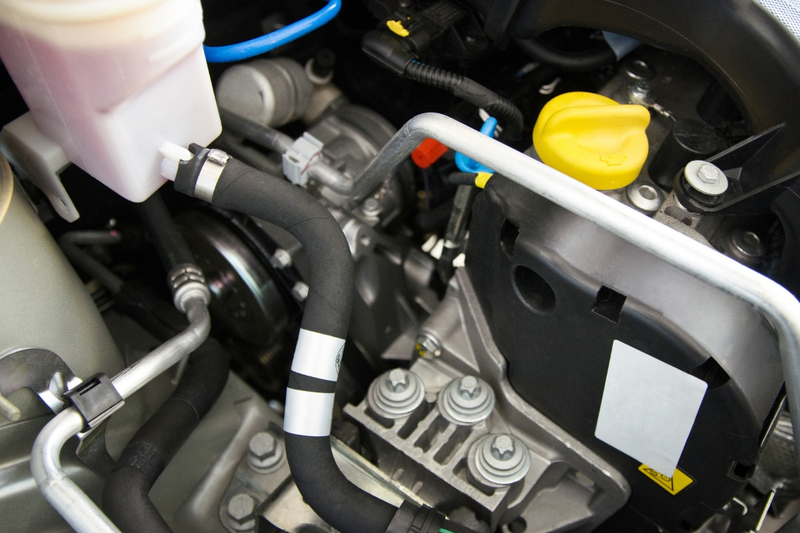 The ASE-certified technicians perform A/C maintenance on a near daily basis and are standing by to assist you. No matter the job, one of their service professionals will assist you in diagnosing the problem and outline all associated costs. Thanks to their clean, modern service bays they’ll have you back on the road in no time. Car blowing hot air? Stay cool. Call Good Care Auto at (734) 285-1188 today!